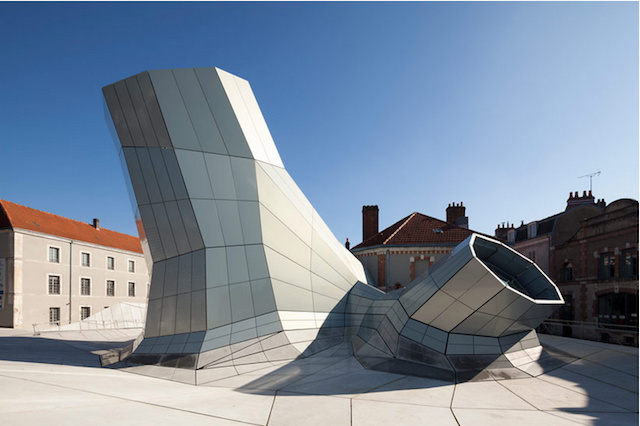 Les Turbulences, the newest project by design team Jakob + MacFarlane, is one of the few “morphing” buildings currently on permanent display. 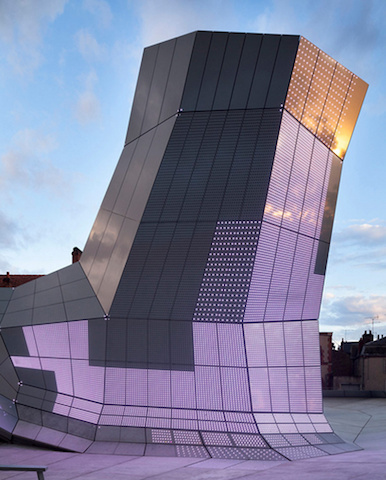 Created as part of the new FRAC Center in Orleans, France, a “graft” was introduced on the existing building, introducing an interactivity with its urban environment activated by a “skin of light” on the Turbulences. 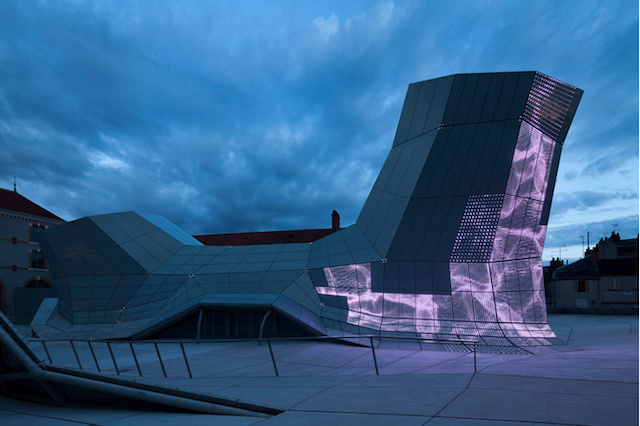 A collaboration with artists’ duo Electronic Shadow (Naziha Mestaoui and Yacine Aït Kaci), Turbulences consists of a facade of light made of several thousand diodes, creating a dynamic interface between the building and its surroundings. Using the natural construction lines of the Turbulences, various points of light become a pastiche of shapes: passing from point to line, line to surface, surface to volume, and volume to image. This interactive skin of light is able to function in real time, responding with corresponding patterns to sunrises and sunsets, wind, and other variables. 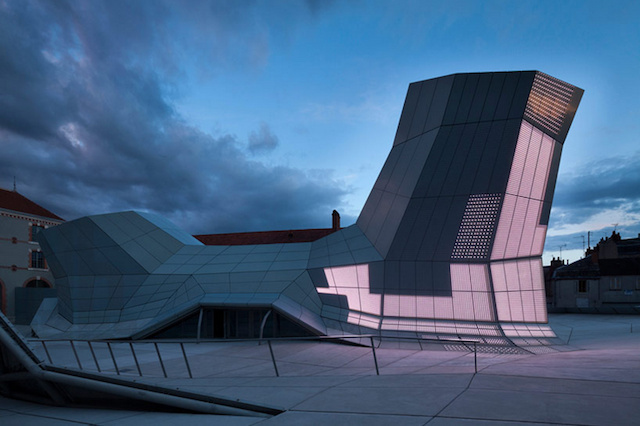 The building’s surface is mostly informed by flows of information, directly transforming them into light-images. The result of a computer program, The Turbulences is at the forefront of the “immaterial architecture” technological revolution. In other words, buildings that can shift and change according to the surrounding climate. Check out the full video above. 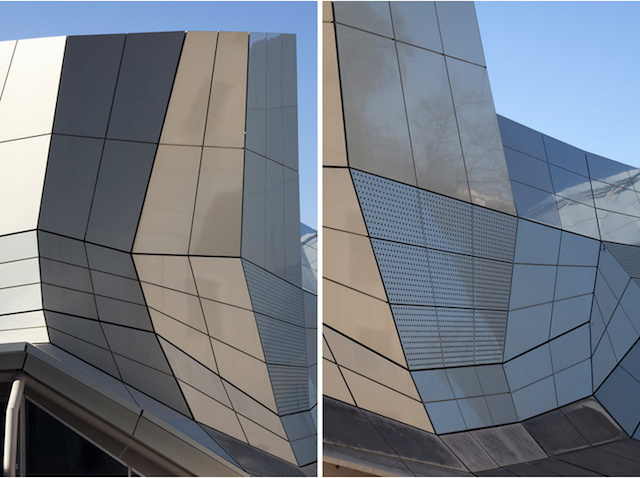 Faceted aluminum cladding gives the building a chic, futuristic look during the day that at night turns to a light spectacular.